A couple of months ago I was interviewing a musician who had studied art at USC under a protégé of Mike Kelley, and as we walked through MOCA we kept coming across posters announcing this exhibit. The Detroit transplant who attended CalArts (and eventually became a faculty member there), was a prominent fixture of the L.A. art scene from the mid-1970s until his suicide in 2012. The museum brights together over 250 pieces by the artist that incorporate found objects, painting and collages into thought-provoking and inspiring works of art. 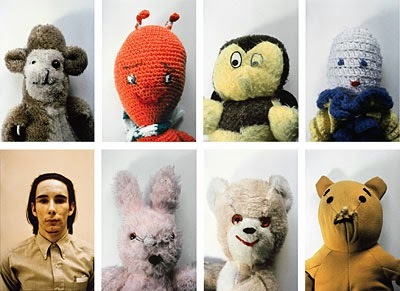 If you have yet to explore Mike Kelley's creations, this exhibit is the perfect opportunity. Admission is free on Thursday nights, but if you can't go tonight the exhibit is running through July 28. American Cinematheque is holding a tribute to Cage with screening and discussions throughout the weekend. Tonight is a double feature of 2009's The Bad Lieutenant: Port of Call – New Orleans and a 30th anniversary screening of Birdy. Acclaimed German director Herzog, who directed Cage in The Bad Lieutenant, and the actor participate in a discussion between films. Saturday's films are two of my favorites starring Cage, Adaptation. and Raising Arizona, while there's a screening of Joe and a discussion with Cage and the film's director, David Gordon Green, Sunday night. Born John Kenneth Dunkin, Pigeon John grew up in Inglewood and began carving a place for himself in the underground hip-hop scene performing at open mics at places like Good Life Café. The world was exposed to his ability to meld hip-hop and pop with "The Bomb" off his 2010 effort, Dragon Slayer. After going through a divorce and other experiences, he's ready to release a sixth album, Encino Man, on April 29. Hear the new tracks live tonight when he shares the stage with the Grouch & Eligh, Eliot Lipp and DJ Fresh at the Roxy. Just when you thought you were safe from April Fool's hijinks. The L.A. radio personalities have always been big supporters of local comedians, so it's no surprise that their annual stand-up showcase is being headlined by some of the city's funniest. 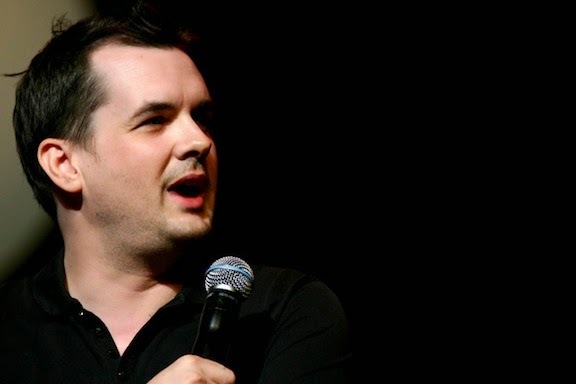 Australian transplant Jim Jefferies, Patton Oswalt, Adam Carolla, Tim Minchin, Doug Benson, Eddie Ifft and Taylor Williamson are joined by the always- entertaining Reggie Watts and the musical stylings of Mike Relm. All proceeds from the evening go to Fisher House and Cedars-Sinai's Neonatal Intensive Care Unit. Whenever I ask Angelenos what they miss most about Los Angeles when they're away, their answer inevitable involves Mexican food. No other dish exemplifies L.A. street culture like the taco. Find out who is going to be crowned winner of this year's Taco Madness, from noon to sunset at Grand Park. Dance to music from DJs like KCRW's Mario Cotto and Travis Holcombe, see some art curated by DoArtFoundation, grab a drink at the beer garden and eat yourself into a food coma with tacos from Mexicali, Mariscos Jalisco, Guerrilla Tacos, Carnitas El Momo and many more. CicLAvia bans cars from an L.A. thoroughfare for a day (from 9 a.m. to 4 p.m.), transforming it into a safe place for cyclists, walkers, rollerbladers and skateboarders to cruise the city. This particular route is along iconic Wilshire Boulevard, a six-mile stretch from Downtown to Miracle Mile. There are activity hubs at various points with fun activities, art, music, food and crafts for the whole family to enjoy. The forecast predicts a sunny Sunday with a high of 80 degrees, so it's going to be ideal weather for a walk/bike/skate through town. The MLS season is in full swing, and it's time for the first SuperClásico of 2014. Although neither squad is high in the Western Conference standings, it's still early in the season, and a match between the two is always exciting. See Carlos Bocanegra, Dan Kennedy and Adolfo "Bofo" Bautista take on the Galaxy's Landon Donovan, Robbie Keane and Juninho, all starting at noon today. 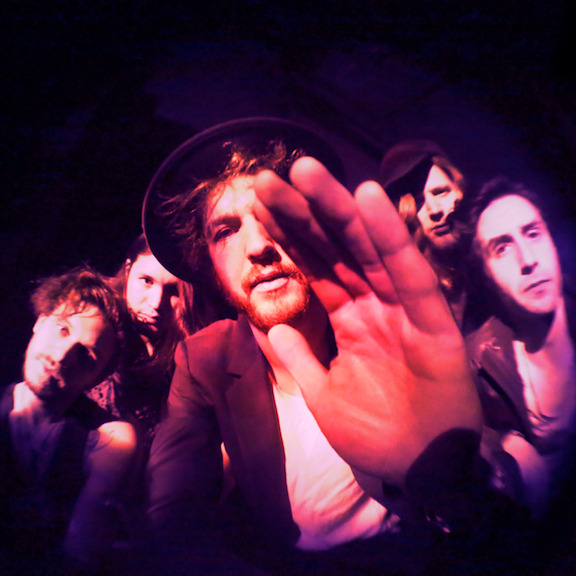 The New York City fivesome is set to release a new album, Taka Come On, this week and performs a set at Bardot tonight in anticipation. Their sophomore release is hauntingly beautiful, with buzzing, psychedelic guitars, a heavy bassline and visually evocative vocals. Seeing them live in such an intimate space is going to be quite an experience. Hooray, it's one of my favorite days of the year: Free Cone Day! Head to your local scoop shop (Union Station, Universal CityWalk, Burbank, Santa Monica, Sherman Oaks or the Howard Hughes Center) and pick up a free ice cream.